You're welcome to CHUMA's blog: My arguments against CBN's CURE. My arguments against CBN's CURE. The first time I read about the CBN’s introduction of NGN5000 notes I thought it was one of those rumours peddled by online newspapers who solicit for viewers. But my visit to the CBN’s website confirmed it. Having gone through the CBN governor’s briefing note I was convinced that it is either the CBN leadership has lost ideas on how to deliver its mandates or that it is devoid of any deliverable. It made me wonder again in whose interest the policy is formulated. This adds to the list of policies that have come through this leadership that lacks merit when you take into account welfare of national population. CASE 1: Sanusi found his policy very important because according to him “it entails the CBN being responsive to the changing needs of the economy and keeping pace with evolving trends in contemporary currency technology-world.” This argument is misplaced! Currency restructuring to higher denomination does not in any way represent the current need of Nigeria (we are in a period unemployment has become unbearable and inflation rate soaring higher every quarter). Talking about the “contemporary currency technology-world,” Sanusi failed to tell us how many economies in this 21st century facing similar challenges as Nigeria that have moved towards higher denomination. What a baseless and misguided argument! CASE 2: “In addition, in line with international best practices, monetary authorities are required to review their nations’ currencies at intervals of between five (5) and eight (8) years.” This is certainly a pretense! You can review your currency with the objectives in hand but you don’t necessarily need to restructure (not when the outcome is counterproductive). To my knowledge there was a review of the nation’s currency in 2009, which led to the adoption of Polymer bank notes in replace of the N5, N10, N50, etc paper banknotes. This fact Sanusi acknowledged in his words: “In Nigeria, the last comprehensive review of the currency was carried out in 2005. 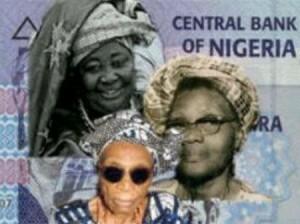 It resulted in the introduction of the N20 polymer banknote followed by the varnishing of the N5, N10, N50 paper banknotes in 2007. These lower denomination notes were eventually converted into polymer banknotes in 2009.” He just used the word ‘comprehensive’ grandiosely to paint a blurred picture! CASE 3: Sanusi again, to support his policy, stated that “Public apathy towards the usage of the 50K, N1 and N2 coins, introduced in February, 2007” was among the challenges revealed in the 2010 review (again it was a review but not comprehensive) of the nation’s currency series. This white lie is really hard to defend! Is it that the public suddenly disliked series of currency they were used to for many decades or that the CBN decided to stop circulating them, thereby indirectly pushed them in to extinction? CASE 4: Sanusi in all his wisdom as an “economist” (questionable) and professionalism listed among others below as objectives his currency restructuring tend to achieve. “Upgrading the design of the entire existing range of currency denominations in order to enhance the quality and integrity of the banknotes.” This is really a waste of resources, especially in a period when over 70% (112.5 million of estimated 160 million as given by the NBS) of the population lives under USD1 per day. There is absolutely nothing wrong with the current quality of the currency. A bank note does not lose its economic value due to wear (if that’s his line of argument in the quality of notes) because even though they are poor in condition they are still legally valid claim on the issuing bank. The only worry is the cost of replacing the bank notes in poor condition; but they are not. Talking about integrity, he argues about integrity where his policy adds nothing positive to the exchange rate regime. He failed to tell us how his wonky policy adds to Nigeria’s competitiveness in the international market. “Achieving an optimal currency structure that will ensure cost effectiveness and balanced mix and utilization of all the currency denominations” This is again grandiose! In terms of cost effectiveness, this is a fallacy. High denomination notes have lower cost only if you’re comparing them to the cost of coin of the same value. “Introducing new series of coins that would be generally acceptable for purposes of transaction.” Another misguided argument! The coins that the CBN unprecedentedly pushed into extinction and now want to resurrect were never out-rightly rejected by the people. Those coins have (I wouldn’t use ‘had’ because they were never legally suspended) legal tender status. “Reducing the cost of production, distribution and disposal of banknotes by introducing a higher bill that would reduce the volume and cost of notes in circulation.” This argument is lackluster! There is no magic bullet here! How can a frolic venture reduce cost? May be it works in another planet; not on earth. CASE 5: Sanusi failed to tell us how his currency restructuring to a higher denomination would tackle the anticipated inflationary strain on the economy. He asserted that “inflation in Nigeria is a monetary phenomenon.” This is a truism as supported by Milton Friedman (who argued that “inflation is always and everywhere a monetary phenomenon”). So this is not applicable to Nigeria per se. I do not want to override the fact that inflation is a fiscal phenomenon too. When you take a closer look at Friedman’s argument, especially in relation to the experiences in the 1980s, you will become conscious that it’s not as revealing as it may sound. Inflation is equally a fiscal phenomenon. Period! If we go by Sanusi’s point, then he has no argument against the claim that his policy could mount inflationary pressures on the economy. By the way does he expect his monetary base and money demand to be zero after the introduction of the new currency (if the purpose of currency inter alia is to facilitate transactions) given the clear relationship between money growth and inflation? Another look at this, by conception, introducing new currency will imply printing fresh money, which means the CBN, will increase the monetary base, and government will purchase real goods and services in exchange for the new bank notes- Seigniorage. Nouriel Roubini and David Backus (1998) shows that Seignioraget = ðMt / Pt , which in words means new notes printed during the period (t)/ price level during the period (t). They argued that since by printing money government purchases real goods and services (if you understand the argument behind seigniorage) and if this holds, then seigniorage becomes in effect a tax imposed by the government on private agents, which you can also call inflation tax. Then, ð Seignoraget = ðMt / Pt = (ðMt / Mt ) (Mt/Pt). Also, since the rate of money growth (ðM/M=m) is equal to inflation (p) (if I assume, as Roubini and Backus (1998) did, for plainness, that the output growth rate is zero), then, ð Seignoraget = pt (Mt/Pt), which in words means that the inflation tax is equal to the inflation rate multiplied by the money balances in real terms held by private agents. If this holds, it will be more sensible as the inflation tax has to equal the tax rate on the asset that is taxed multiplied by the tax base. For example, for the inflation tax, the tax base is the money balances in real terms, as the tax rate at which they are taxed is the inflation rate. In a plain language, if I hold for a period, say 1, a sum of real money balances = Mt/Pt, the value of such balances in real terms- that is its purchasing power in terms of goods- will be decreased by a sum = pt (Mt /Pt) after period 1. Thus the reduction in the value of my monetary balances in real terms as caused by inflation is precisely the inflation tax, that’s the amount of real resources that the government pulls out from me by printing fresh money and creating inflation. CASE 6: Sanusi likened Nigeria with some countries such as Singapore, Germany and Japan as countries with high denominations and as a motivation for his proposed currency restructuring. Firstly, he failed to tell us if there is any structural homogeneity between Nigeria’s macroeconomic framework and that of those countries. This is a very wrong comparison! Secondly, he didn’t tell us what the macroeconomic regimes were in those countries relatively to Nigeria when they adopted such policy. I wonder why he didn’t tell us about the USA! He alluded that high denominations in these countries “have relatively high dollar equivalent.” Is he implying that if we adopt high denominations that Naira will have high dollar equivalence? Fallacy! In shooting himself in the foot, he acknowledged the fact that these countries maintained single digit inflation, but he forgot to say that our inflation was at a rising double digit. CASE 7: Sanusi believes that in the long term that “higher bill would complement the CBN’s cashless economy policy as it would substantially reduce the volume of currency in circulation.” He sounded more like a positive economist! How this will work is not clear. Allusion is often made to the long term because we believe all adjustments must have been in the long run, but truly this does not happen all the time. Sanusi probably forgot that it’s not his expectations that matter, but people’s expectations.